The Hobbit in Russian, Detskaya Literatura Leningrad 1992, hardback (no dust jacket issued) 256 pages, ISBN 5 08 000098 8. 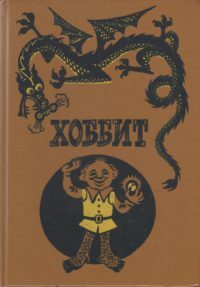 Translated by N. Rakhmanova, illustrated by M. Belomlinsky. Weight 446 grams, 16,9 x 23,9 x 1,8 cm.